Black Friday marketing is a strong strategy for businesses looking to increase conversions. As one of the year’s strongest sales events, Black Friday is a great opportunity for businesses to attract more customers. So how can you get more conversions via Black Friday marketing? Brainstorm the best price for your Black Friday promotion deal. Map out the process workflow of your promotion for Black Friday. Find the best keywords to use for your Black Friday marketing campaign. Prepare your Black Friday marketing materials. Find leads for your Black Friday marketing campaign. 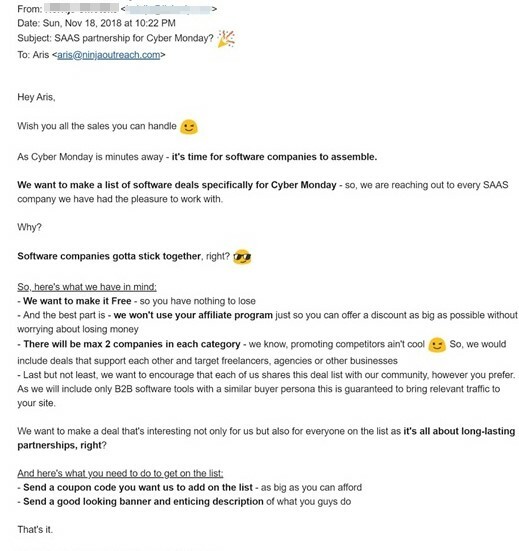 Prepare your Black Friday email marketing templates. Set up your Black Friday email marketing campaign. 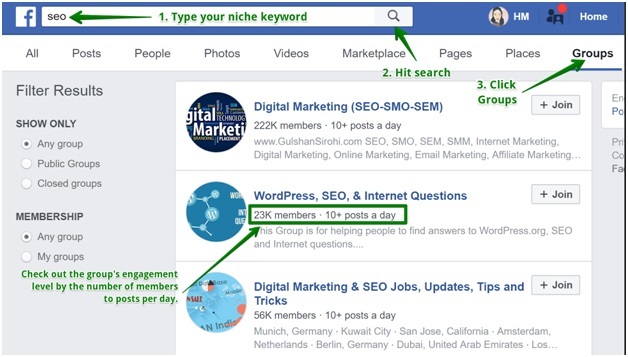 Find Facebook groups & niche forums to promote to. Extend your Black Friday deal. Offer a special, one-time discount to upsell your Black Friday users. Now before we break out the detailed process for each step, let’s define what Black Friday is and why Black Friday marketing is important for businesses. What is Black Friday & Why Is Black Friday Marketing Important? Black Friday is a yearly event characterized by consumers going on manic bargain buying sprees. As a business, you want to make sure to grab this opportunity to get massive sales, and that’s where Black Friday marketing comes in. Promote massive discounts to your target users. Decrease the friction for users and make it easier for them to start buying into your business. Identify who are more likely to turn into longer term customers and work hard on giving them a great experience. Delight these users to get a higher chance of converting them into higher-value customers. 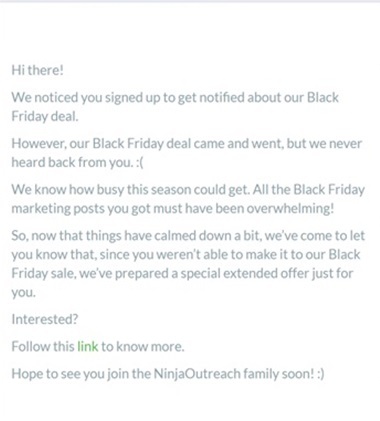 We at NinjaOutreach have participated in Black Friday deals for years, and have converted many of our previous Black Friday deal buyers into long-term, higher-value users. So in this article, we’ll share how we did it. We promoted a lifetime offer and got great reception. 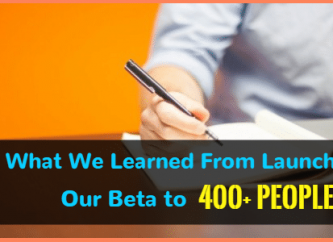 Our initial users were mostly bloggers who started out using their basic, lifetime accounts for guest posting and link building for their own sites. In time, they grew more used to NinjaOutreach and increasingly depended on it for their business marketing operations. Eventually, they upgraded to our higher plans or recommended us to their clients once they took on bigger projects. This is similar to what happened to our AppSumo campaign, where we acquired over 2k users. If you want to apply the same Black Friday marketing ideas for your business, read further. Below are the best practices we’ve noted through our years of doing our promotion for Black Friday. A smart discount that will give value to your target customers without draining your resources. Final details of your Black Friday deal, such as terms and other FAQs. Marketing collaterals for your Black Friday promotion, such as landing page, banner images, etc. A list of platforms, forums, groups, etc., to help with your promotion for Black Friday. A list of leads for your Black Friday marketing campaign. A set of Black Friday email marketing templates for your campaign. 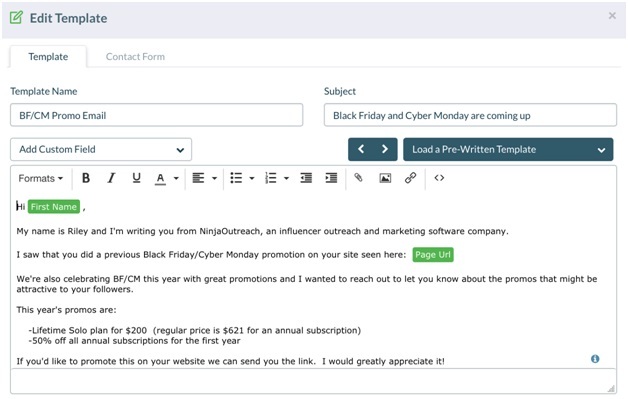 An automation tool for your Black Friday email marketing campaign. With these on hand, follow the next steps below, where I explain how we implemented our Black Friday marketing strategy that helped us gain our long-term users. Before conceptualizing Black Friday promotion ideas, set the right price for your Black Friday deal first. For your Black Friday marketing strategy to work, your discounted offer should provide value to your target customers, but it should not lead to massive losses for your company. 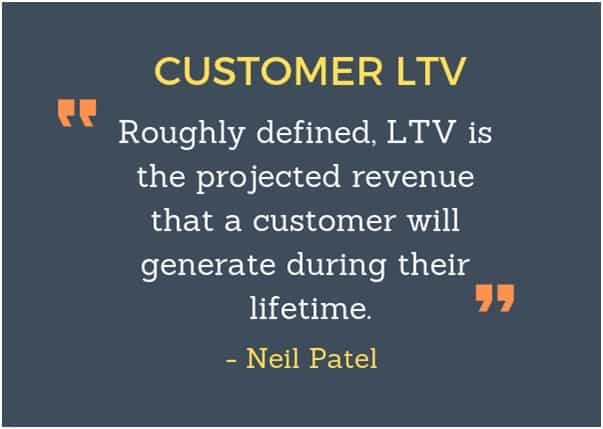 To avoid making offers that could end up draining your company resources, check the average lifetime value (LTV) your customers. In our case, we used Baremetrics and Stripe to help us calculate this data. To know more about LTV, read this article: What is a Strategically Significant Customer (SSC)? Once you’ve determined your customer LTV, work your promo around this data. Essentially, the total investment for taking care of your Black Friday promo customers (server, support, and other related costs) should not overly exceed your average customer LTV. Create a process workflow and assign persons responsible for each task in the workflow. For example, in our successful product marketing campaign for NinjaOutreach, this is how we organized our tasks. If you want to do a promotion for Black Friday, you should use keywords that will give you as much traffic and attention as possible. For a quick option that includes essential keyword metrics, you can try the SE Ranking Keyword Suggestion tool. But if you have the budget, you can do a bit more digging with Ahrefs. For example, using Ahrefs, our SEO Manager Alek Nedyalkov was able to gather top keywords + useful data that you can use for your Black Friday marketing ideas. Search Volume - Ahrefs’ "Search Volume" data for each keyword instantly shows how popular that keyword is. Traffic potential - This metric estimates how much traffic you can actually get if you rank first on Google for the Parent Topic keyword (aside from your main keyword). Paid & Organic traffic metric - Comparing these 2 metrics will show you how to approach your keyword promotion. For example, the keyword "Kohls black friday 2017" has 44% paid traffic. This means trying to rank organically isn’t worth it, since you have a ton of people bidding for the top spot anyway. The keyword "Reddit black friday,” in comparison, shows organic traffic of 100%. This means if you rank #1 for this keyword, you’ll get all the views. Otherwise, you can still get the top spot if you get a paid ad — the data basically says there’s no paid competition for that keyword — yet. Search volume by country - Ahrefs also shows search volume by country, which is important if you’re targeting a particular demographic for your Black Friday marketing. 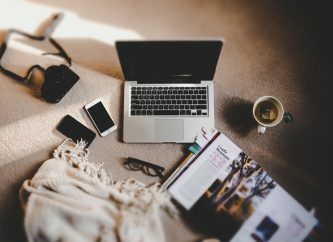 You’ll need content once you launch your promotion for Black Friday, so get all those ready before you start actively promoting. Create a “Get ready” landing page. 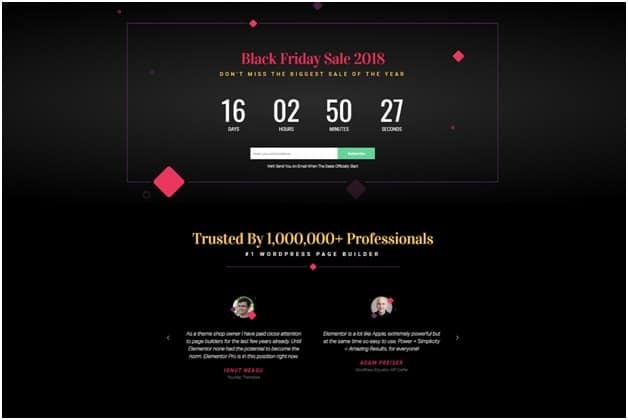 Teaser info to let your users and followers know that you will be launching a promotion for Black Friday. Simple, clear instructions, FAQs, plus terms and conditions of your offer. An email opt-in button for users interested in getting notified once your Black Friday deal is live. This way, you’ll have a landing page to promote and start building links and traffic to. The email opt-in will also help you to build a list of warm leads that you can email once your Black Friday deal is out. Update your “get ready” page with your actual offer. Notify all the users who opted in. Notify all your affiliates and partners to help spread the word. You will need these not only for posting on your own accounts but for sharing to partners who agree to do cross promotion for Black Friday with you. For your Black Friday promotion ideas to work, you need to start building your list of leads to promote to. Find blogs and sites that post about Black Friday promotions. Find sites related to your business. Create a custom list of previous collaborators and users. The next section will describe how to find lead for numbers 1 and 2. How to find blogs and sites to help in your promotion for Black Friday? Below are two ways to find blogs and sites most likely to agree to do promotions for your Black Friday marketing campaign. A. 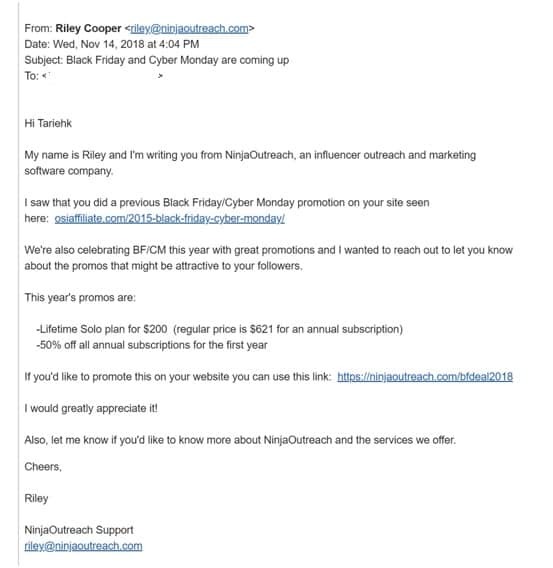 Find Black Friday marketing leads on Google and save them via the NinjaOutreach Chrome extension. 1. First, you’ll need a NinjaOutreach account. 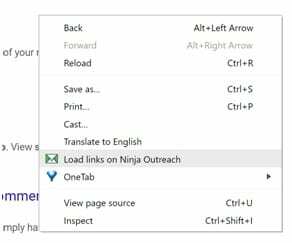 Once you have your free account set up, follow this step on how to install and activate your NinjaOutreach Chrome Extension. 2. With that done, go to Google and used advanced search operators. To find blogs and sites that post about Black Friday deals, try the search query examples below. 3. 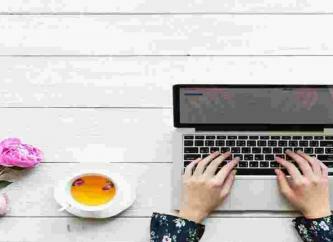 To find blogs and sites related to your business (and are most likely to promote your Black Friday deal to their users), modify your keywords to fit your niche. 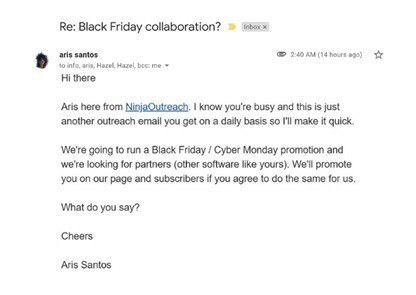 How to save Black Friday leads via the NinjaOutreach Chrome Extension? 1. To add the Google search results into a list of leads, right-click on an empty space on your search results page, then click Load links on Ninja Outreach. 2. Wait for a few seconds then click the NinjaOutreach Chrome Extension icon to unfurl your list of leads. You should see something like the image below. If you are creating your first list, click the blue “Create list” button to name your list. You can then either review and add each lead one by one by clicking on them, or you can simply click the green “Add all” button at the top. NinjaOutreach will import all these leads into a list and will automatically crawl for emails, SEO stats, and other info. Once importing is done, you can review all the leads from within the app, and even sort them by metrics such as Domain Authority, total backlinks, or shares. B. Find Black Friday leads via the NinjaOutreach database. Just go to the search tab and click Promotion Opportunities. The main difference when using the NinjaOutreach database is that you can apply filters and smart tags right off the bat, and save only the leads that pass your requirements. Another benefit to searching in the NinjaOutreach database is that you can also instantly see other data about your leads, such as their DA, total backlinks, etc., without having to click on other tabs. It’s all viewable at a glance via these lead cards. 2. Once you’ve identified which leads you want to add, just click either the add all button, the one by one add contact button, or the bulk options checkbox. 3. Once you’ve clicked either of the options to add your leads, you should see the pop-up below. Follow the steps on the image below then just click Save. 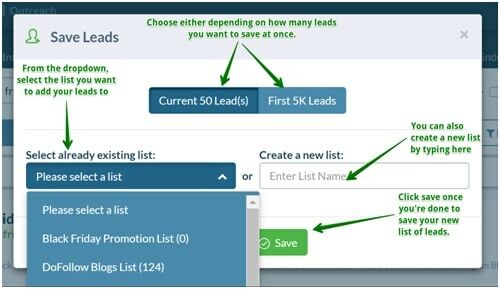 This should add your chosen leads into your list. 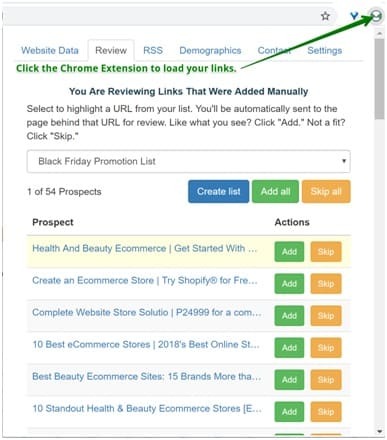 The next section will now describe how to create your custom list of leads for your Black Friday email marketing campaign. 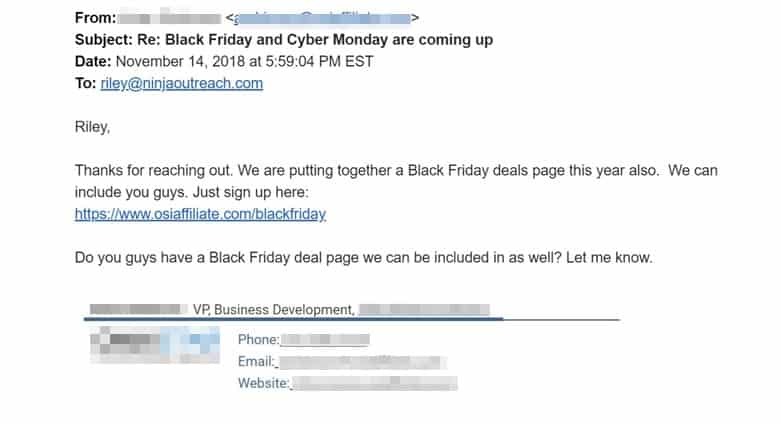 How to build a list of Black Friday marketing partners? In our case, our Outreach Manager Aris Santos, manually pulled up the names and emails of all the people we’ve collaborated with before. This includes affiliates, cross promotion, and guest posting partners. This list was built throughout the years, so this is not something you can easily automate. If you aren’t already keeping a database of people you collaborate with long term, you should start doing so now. To extract the list of our active trial users who haven’t upgraded yet, we used Intercom. Since we have a 3-day trial, we simply filtered Intercom for all users who signed up less than 3 days ago (which means they’re still on their trial) and who haven’t upgraded their plans yet. They have just signed up with NinjaOutreach, so it’s easier to close the gap when the lead is this warm. 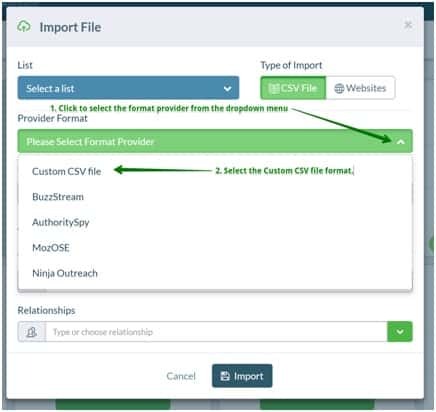 How to do a custom import of leads into your NinjaOutreach list? 4. 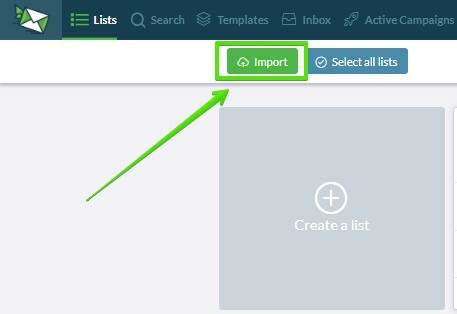 In the import popup, under the “List” dropdown, select the list in which you wish to add your new leads. 5. 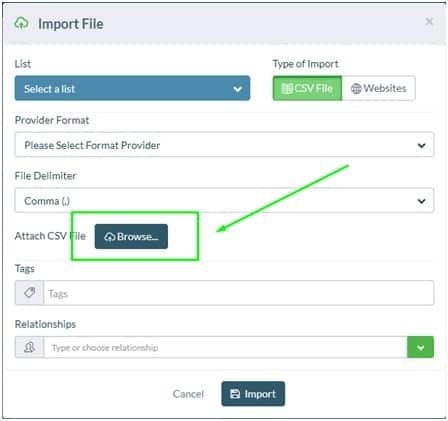 Choose Custom CSV file format from the “Provider Format” drop down menu. 6. Click the Browse button and select the file you want to import. 7. 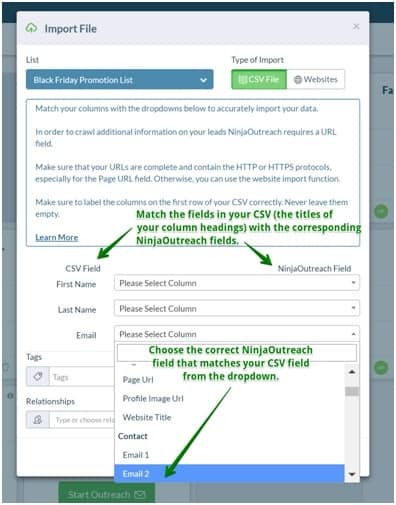 You should be taken to another popup to match your CSV fields (that is, the labels of your column headers) with the corresponding NinjaOutreach fields. Note that these fields cannot be left empty or NinjaOutreach won’t be able to import them successfully. 9. Wait for confirmation or check back in a few minutes, and the custom leads should show up in your account. For each type of request, you will need to create an opening outreach message plus up to two follow-up messages. This is what our Customer Success Manager, Riley Cooper, sent to one of our leads, OSIAffiliate. Below is an example that Aris sent to one of our software leads, SEOptimer. Email to affiliates, previous collaborators and trial users about our Black Friday deal. The following are great collaboration email examples that we received. One is from SERanking, a software that we currently use. And here’s another from Linkody. Once the templates were approved, it was time to save them on NinjaOutreach and set up the automated sends and follow-ups. Here’s an example of a template Riley set up in NinjaOutreach. See the text inside green buttons? Those are custom fields that Riley used. Those sections are dynamic and will fill up with the correct info corresponding to each lead’s data. 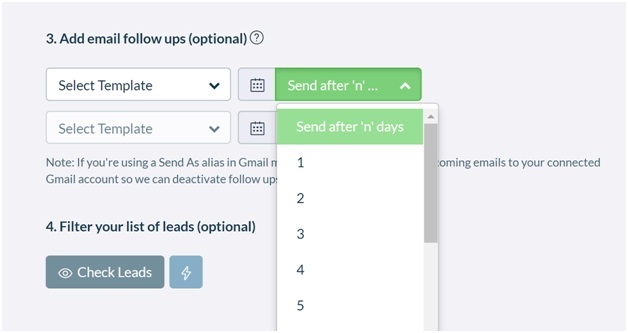 You can also schedule follow-ups that will automatically be sent once a lead doesn’t reply to your first email. Just save save a follow-up template you will use. Then, in campaign scheduling, you can set how many number of days before a follow-up will be sent. Depending on your niche, Facebook groups may or may not be open to you doing a promotion for Black Friday on their page. In any case, social buzz is important and with Facebook, you make it easier to reach a mobile audience, so it’s worth a shot. How to find Facebook Groups for Black Friday marketing? There are two ways to find Facebook Groups for Black Friday marketing. 3. At the left corner of your Facebook homepage, below the homepage button, you should see an Explore tab. Under that, click Groups. 4. Clicking Groups should take you to a tab that shows all the current Facebook groups you’ve joined. 5. Click Discover to see suggested Facebook groups you haven’t joined yet. These suggestions are based on the types of groups you’ve already joined. Check out the engagement level for each group. The lower the number of members + higher number of posts per day, the better. It means the group contains highly engaged members, compared to groups with more members but lesser posts per day. Check the type of content per group. Is it full of valuable discussions, or spam? Check the admin rules to see if you’ll be allowed to post a promotion for Black Friday. If not, you can message the admin directly. Finally, some groups accept promotions for Black Friday, others may not, while other admins will ask for payment upfront to promote anything. So, build a list of at least 100 Facebook groups that are most likely to approve Black Friday marketing so you have enough volume. One way to maximize your exposure would be to take advantage of the relative quiet after Black Friday madness to remarket to your target customers. You’ll have less competition for their attention. This is the perfect period to send them an extension of your Black Friday offer, but at a lower price. So if your original Black Friday deal was 75% off, offer a Black Friday extension deal that’s 50% or 30% off. 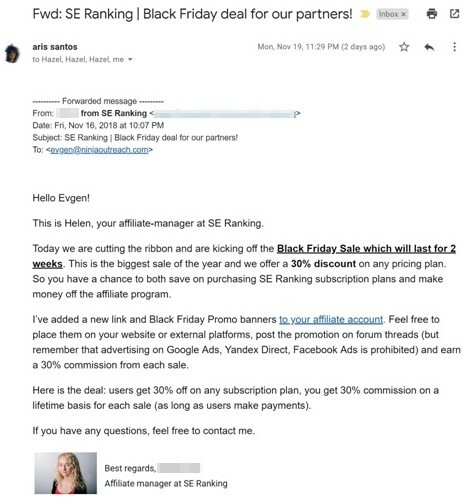 Send this announcement to your newsletter, cross promotion partners, and to all the email signups you got from your Black Friday landing page. Finally, offer a one-time discount to Black Friday users who will renew, upgrade, or make a new purchase from your business (separate from the Black Friday deal they already bought). 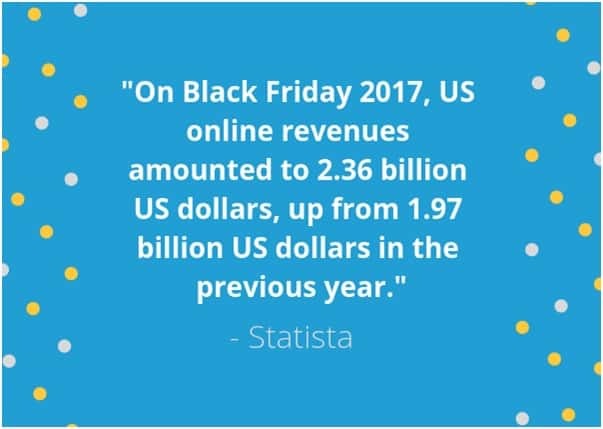 This should encourage them to remain engaged with your business and, ideally, to complete your ultimate goal for Black Friday marketing: to turn your Black Friday users into higher-value customers. Whew! If you’re still here, I applaud you. To be clear, these are not the only methods for doing a promotion for Black Friday, but what we’ve put here are the ones that worked for us so far, based on our experience. You’ll have enough here to keep you busy so good luck and, from our team to yours, happy Black Friday marketing!